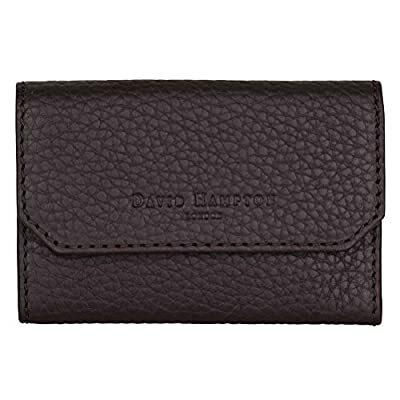 The Richmond leather key case is equipped with a swiss tempered steel fitting to retain your keys securely. With a handy card pocket and double snap, it will prevent your keys from damaging your pocket or bag. 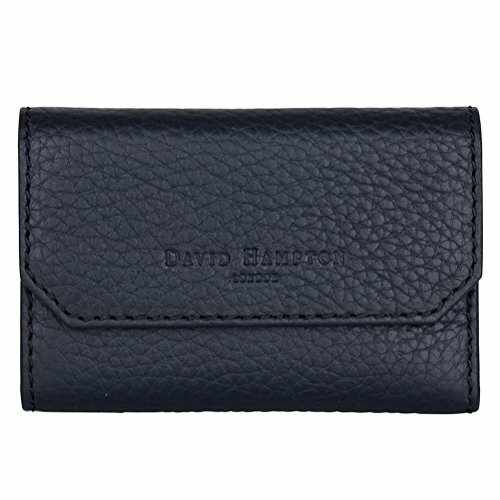 6 hook key case with handy card pocket in rugged eco friendly leather Tempered steel fitting for long life with large hook for car key Hand crafted with turned edge construction Fully lined in blue and white striped cotton and discreetly embossed David Hampton Size: 2¾" x 4¼"